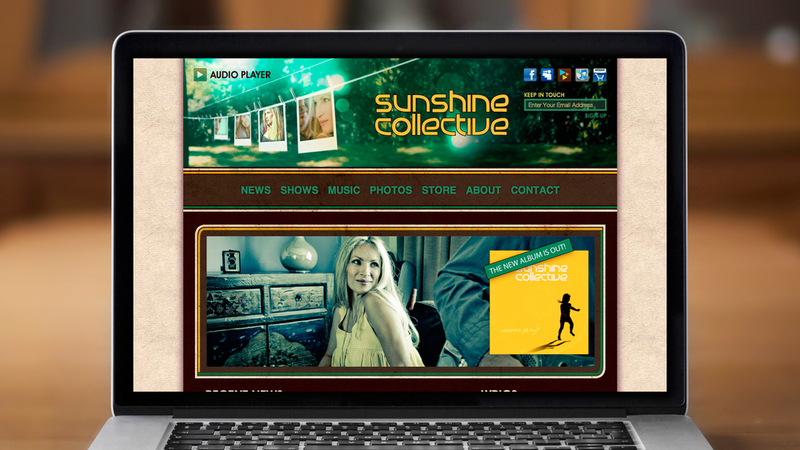 Sunshine Collective, the pairing of singer/songwriter Stephanie Richards and composer/songwriter/producer Brian Arbuckle, is all about feel-good music that’s deeply rooted in an acoustic sonic palette with inspiration from 60’s and 70’s pop. 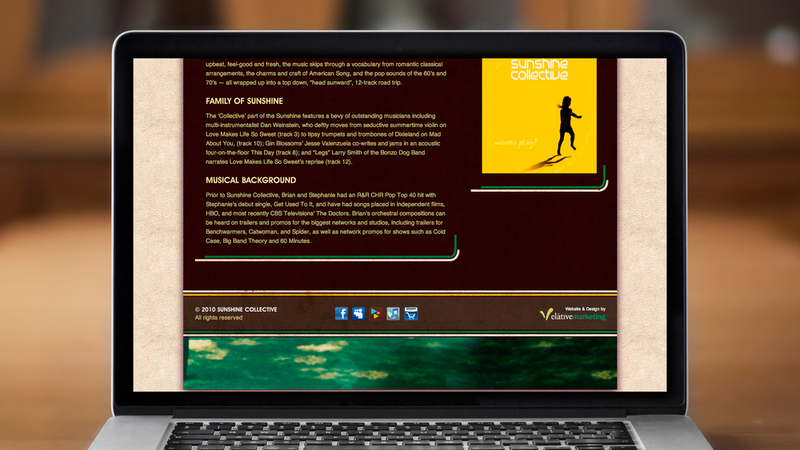 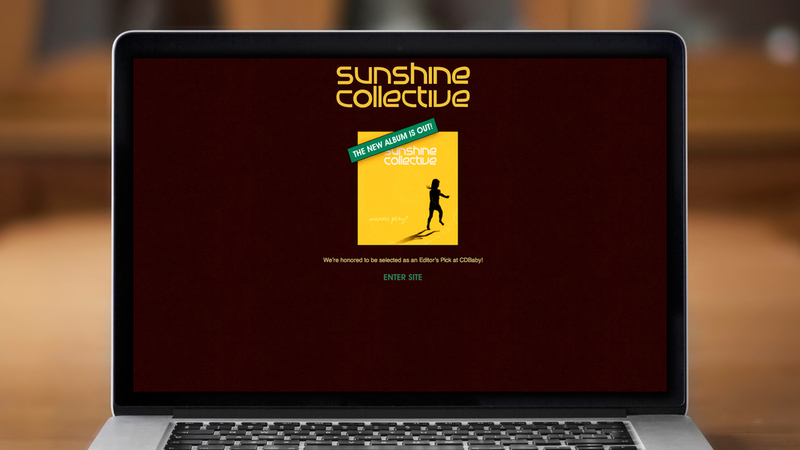 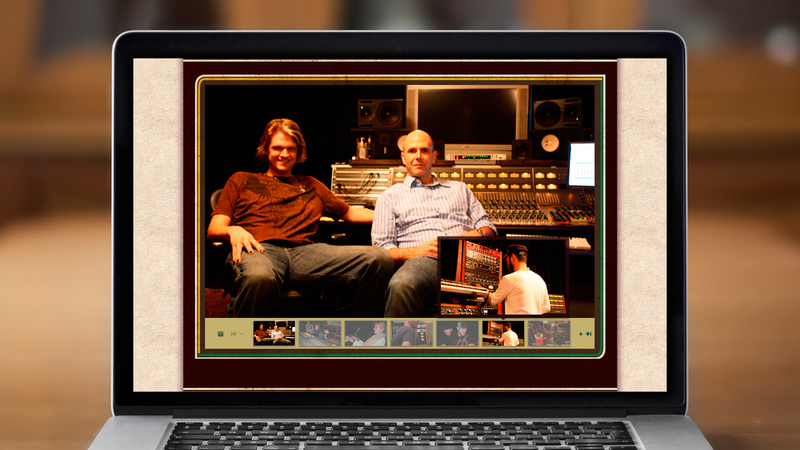 Elative helped to design a very organic looking website, complete with rich, weathered textures and vintage design treatments to visual support the sonic signature and image of Sunshine Collective. 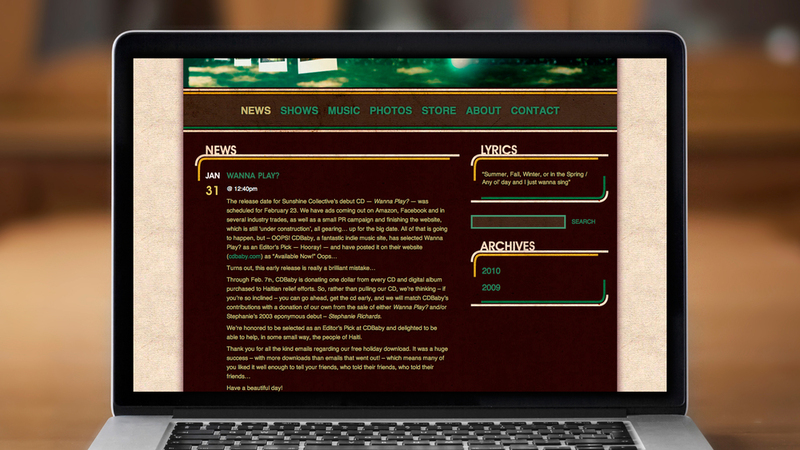 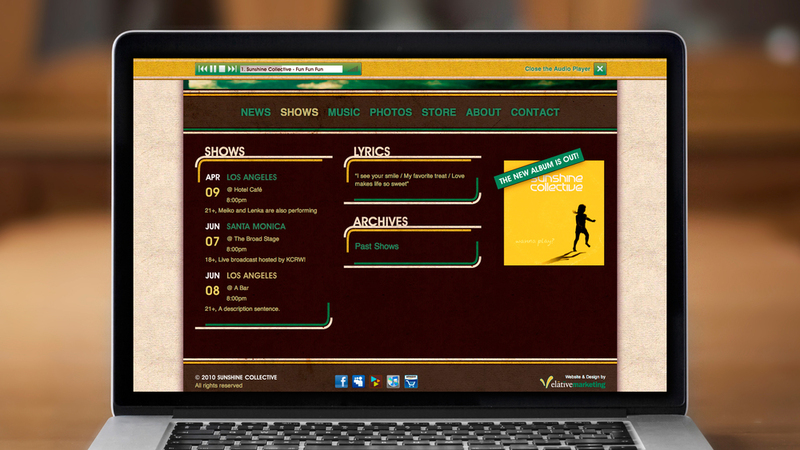 The website allows for a robust offering of media, including photo, video, and multiple methods of audio playback (which deprecates gracefully for platforms with no Flash support), as well as updatable news and show announcement sections.